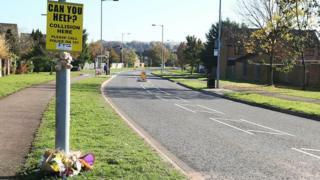 A six-year-old boy has died after being hit by a car. He was pronounced dead at the scene of the crash in White Horse Vale, close to the junction with Kirby Drive, Luton, at about 14:20 BST on Saturday. Bedfordshire Police said a man has been detained. Sgt James Thorne appealed for any witnesses or anyone with dashcam footage to contact the force.